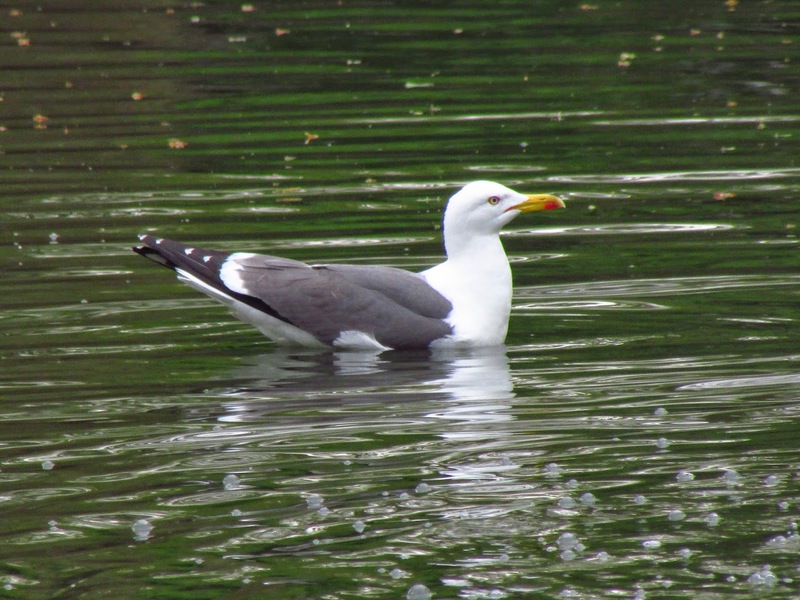 It is unusual to have more than a pair of Lesser Black-backed gulls in my local park. Today, I counted six circling over the pond in the morning to feed on scraps. 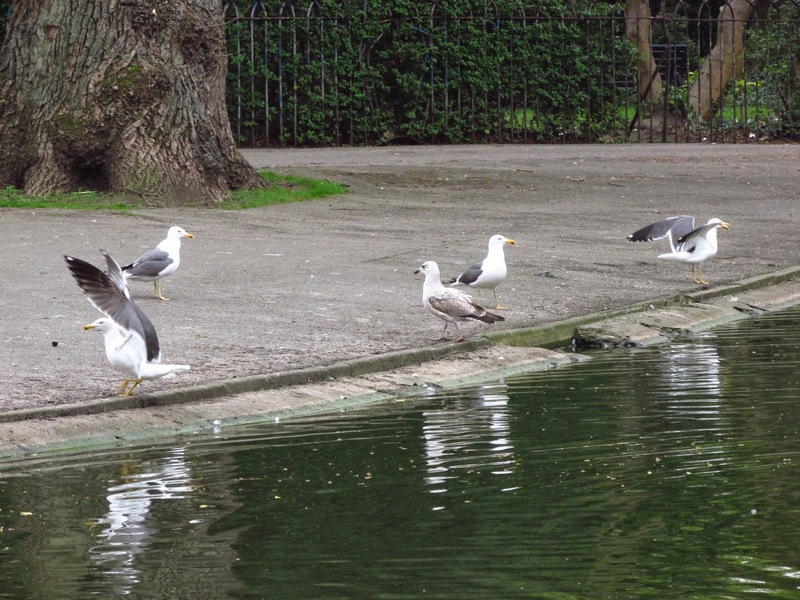 They shared the pond with a few young of last year and and adult Herring gulls and a single common gull. After eating some bread, two individuals went to the water to drink. 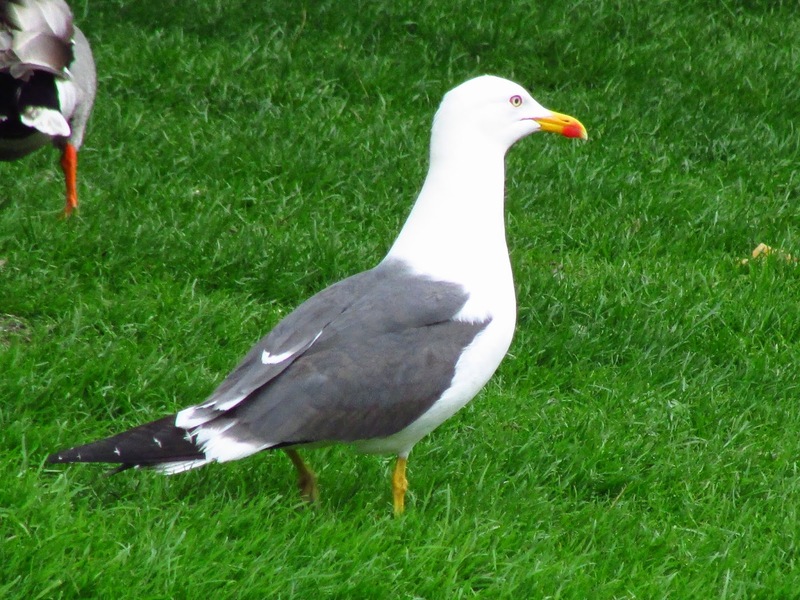 These are really beautiful gulls, with the most stern looks due to their deeply seated yellow eyes circled by a red eye ring. The individual at the top was particularly stunning, its red spot was really bright and extended extending to the top side of the bill, like some badly applied lipstick. 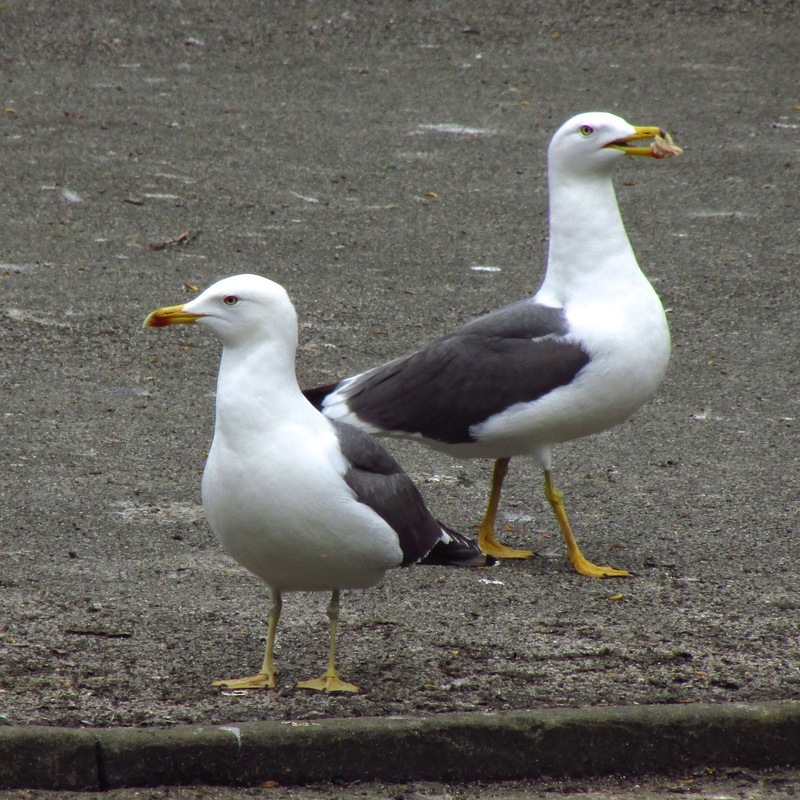 Here, Lesser Black-backed gulls are summer birds, from March to August, and presumably breed atop buildings locally. A pair by the water. Note the darkish ring on the top of the bill, indicating these have recently adquired their adult plumage (about 5 yr old). Note also the different tone of the yellow legs.